Amazing Website Hosting : Call 0776 260 360 Now! speMEDIA Hosting for the Ultimate Website Performance and Scalability! Leverage our expertise as the best website hosting provider in the whole of Zimbabwe. We make sure that we provide you with a scalable platform that you can use to spin up websites quickly, or strict compliance requirements or custom architecture to support heavy traffic. Add speMEDIA Application Services for our highest of application expertise. That is all supported by a 100% Production Platform Uptime Guarantee. No matter what you choose or want, we make sure that back it up with support by phone or email 24/7. That way, you can entirely focus on your business and not your site. Why speMEDIA for Website Hosting? You should lose any sleep over traffic spikes for your website design. For that reason, we have flexible managed cloud hosting options. Furthermore, we have very fast CDN help to ensure that pages load really fast during unexpected surges and unplanned events. It doesn’t really matter if you are poised for hyper growth or not, our company ensure that your website can scale with your business. We guarantee that you get access to experts who will help you optimise infrastructure and application performance. It will help you improve customer experience too across leading digital and ecommerce platforms. Our high performance servers are for dedicated infrastructure that is designed for the rapid deployment of leading web applications. They are customised to fully meet all your application requirements. You are also guaranteed of optimisation and architectural guidance from experts across all leading platforms which include Google Cloud, Amazon Web Services and Microsoft Azure. Can you help me with getting website hosting in Zimbabwe? 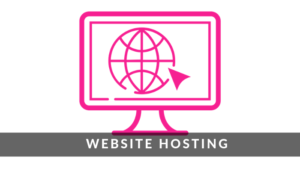 Yes, we can host your website today! Why not give us a call on +263 776 260 360 or email us to discuss your website hosting needs whether you are in Harare or anywhere in Zimbabwe. Get a free no obligation estimate or contact us to discuss your exact requirements. We appreciate that your business is unique in its own right. Therefore, we will develop a personalised website hosting plan and approach for you. Kindly fill the form below and we will reply you urgently with a custom price quote. We are open from Monday to Friday 8 am to 5 pm.